I just put together a little code to show an image preview in the JFileChooser. It shows a scaled image on the right side of the file chooser. The image is scaled to completely fit inside the box to the right. The file chooser does not filter files. 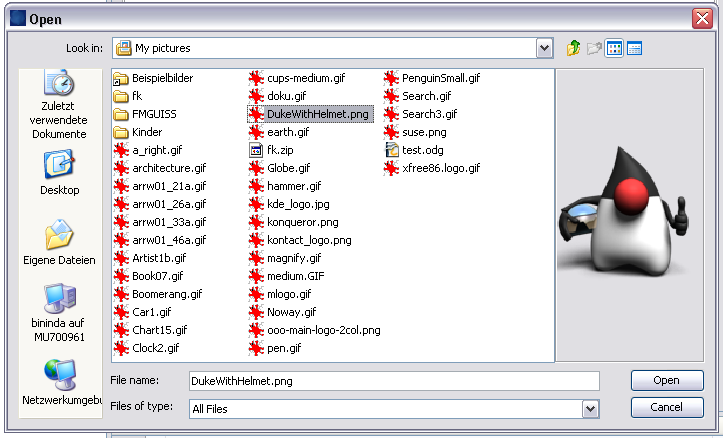 It allows the user to select any file but if it can be opened as an image, the preview is shown.